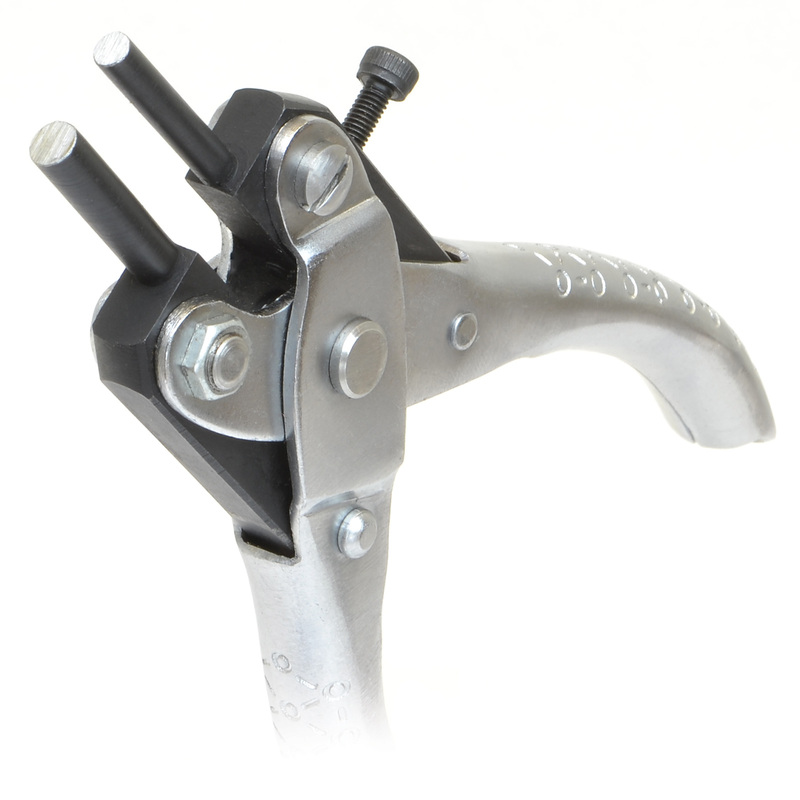 Parallel Jaw Adjustable Bail-Making Plier forms bails, loops, jump-rings and more. The parallel action remains throughout its range of motion from 0 to 13/32 inch. Round jaws measure approximately 9/64 inch and 3/16 inch in diameter and 3/4 inch in length. Set screw allows clamping action to be controlled from 0 to 1/2 inch. Overall length: 5 inches.